The easiest way to bring Sun all year long into your home and garden is with a fabulous piece of Sun Decor. Our Radiant Sun Wall Decor will absolutely blow you away. 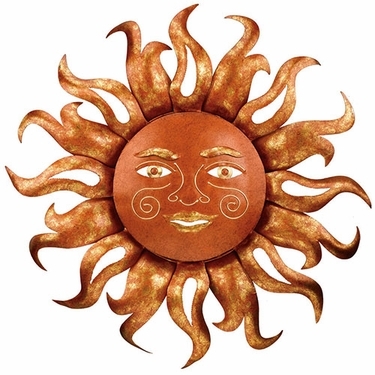 This gorgeous sun is made of durable metal, and has been hand painted with delightful detail. Pairs great with our new Golden Radiant Sun!